This lake house is new construction which linked an existing garage building into a new house. 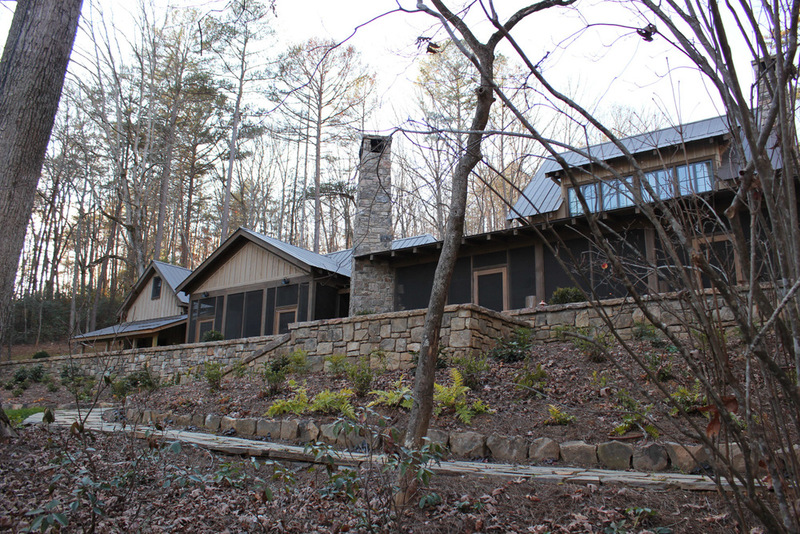 The exteriors are softly stained board and batten, deep overhangs and a metal roof. The open floor plan opens to porches everywhere. No matter where you are, you can see the water and that's what it's all about!